The wait is over! Did you like the little sneak peek I gave you yesterday? Today's card is all about LOVE. Such a small word that means the world to many, comes with buckets of responsibility, makes you joyful and sad, but most of all it fills your heart to the rim! 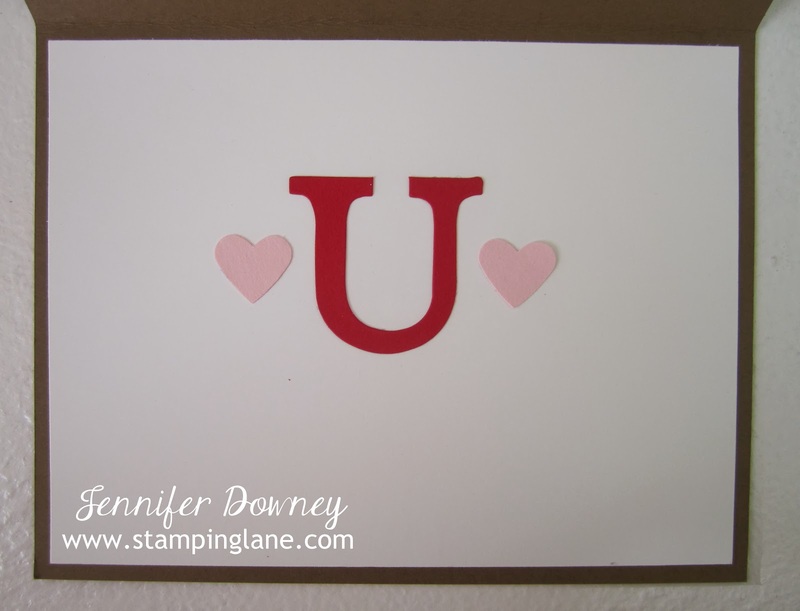 Even though this card is simple, it packs a big message! That adorable hedgehog and snowman is a stamp from the 25 Year Best of Snow set (item # 134387). Isn't he just the cutest!?! He originally debuted in the Holiday Hedgehogs set a few years back, so I was excited to have him back. I die cut the letters using the Typeset Alphabet Die set and used our Small Heart punch to give the inside of the "O" a little extra. It's popped up on a dimensional for depth. I had fun (and found it therapeutic too!) using various colors of our markers to color in the pair of friends. Want to take a peek of the inside? Here ya' go! The fun doesn't stop just on the front! 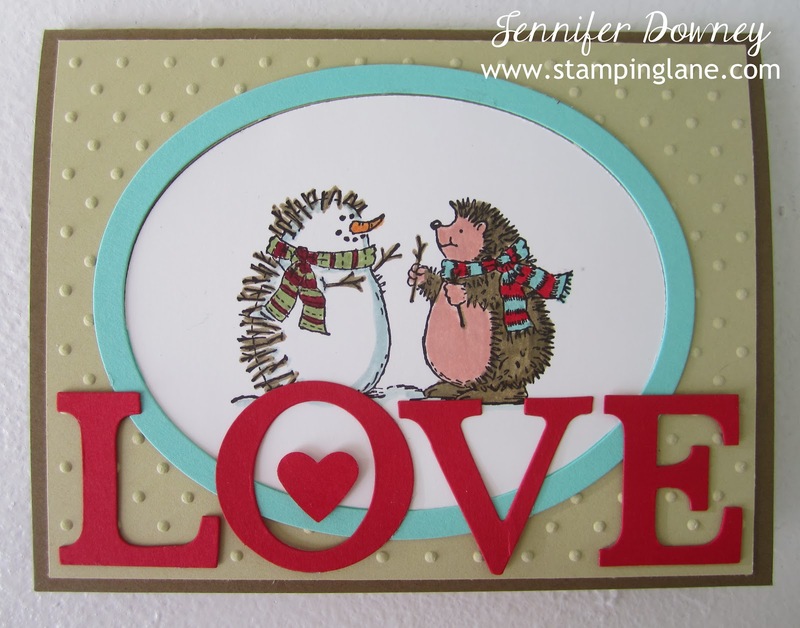 Sending all you sweet stampers extra special LOVE today! Happy Stamping!